So, before I begin, let me preface this post with a little backstory: During CES, Microsoft hosted a competition called ‘Smoked by Windows Phone’. Basically, the premise of it was that you would be issued a task on your smartphone, and evangelist Ben Rudolph of Microsoft would then wield a Windows Phone and try to perform that task quicker. 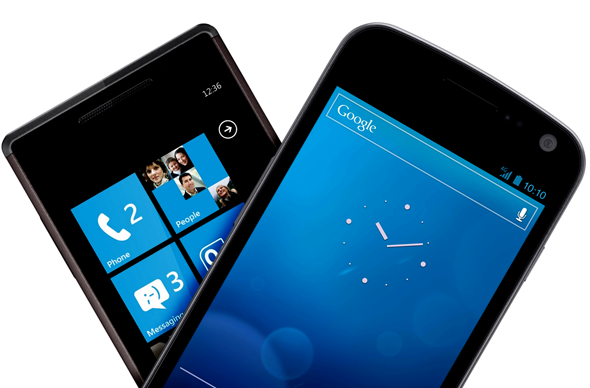 If you lose, you would have to admit that you were ‘Smoked by Windows Phone’. 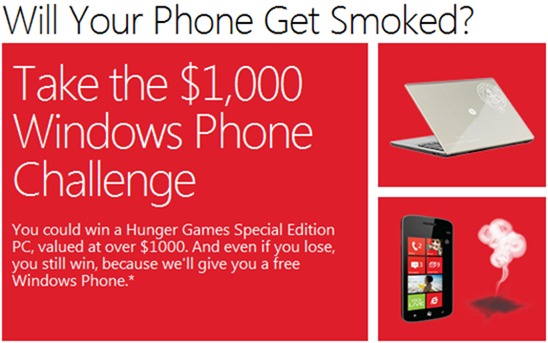 And, if you do beat the Windows Phone to performing the task, you’d win $1,000. Well, as part of a temporary promotion, Microsoft has introduced this very challenge to their brick-and-mortar stores, but with slightly higher stakes. If you triumph over the Windows Phone and win, you’d win a Special Edition Hunger Games HP Folio 13, valued at just over $1,000. And if you lose? Well, you’d still win in a way, as you’d have the opportunity to swap your iPhone or Android device for a Windows Phone handset. So, with that out of the way, here’s what has the Internet – the news has hit the front page of Reddit, along with many technology blogs out there – has been in uproar about in these late hours of the night. Blogger Sahas Katta paid a visit to his local Microsoft Store in Santa Clara, CA and decided to participate in the challenge. However, to quote his lengthy account of what happened, "I was quite excited to take the challenge, but left the Microsoft Store in distaste." Basically, the challenge was to display the weather of two different cities. And, by coincidence, Katta had already configured two weather widgets on his home screen. So, after the three second countdown to commence the competition, he simply hit the power button on his phone and exclaimed "Done!" He then had to take a photo while holding up a sign which said that his device was smoked by Windows Phone. What’s Microsoft’s response? Ben Rudolph did offer Sahas a rematch over Twitter, while also appropriately stating, " Relax guys! I wasn’t there for the challenge with @sahaskatta so didn’t see what really went down. We’ll make it right though!" However, these were simply quick responses to the swarm of news surrounding the topic; we still haven’t heard anything from the actual employees responsible for conducting the contest. And, with that being said, Sahas’ account should still be taken with a grain of salt as it’s really only one side of the story. It should be interesting to see whether or not we ever hear what the Microsoft Store employees have to say about the matter. "If anyone from Microsoft would like to have a rematch, I would be happy to smoke a Windows Phone with Android, again."